JobSpector's survey of jobs in Bell County,, TX revealed excellent employment potential for job seekers in a variety of occupational specialties. You can also visit Worklooker's Bell County Jobs page for updated listings. The Bell County Texas goverment employment portal is a good resource to visit periodically. Open positions are posted when vacancies become available. The county's benefits include vacation leave, sick leave, group insurance, and Texas County and District Retirement System (TCDRS). Retirement deductions are mandatory and are withheld from employee paychecks at the rate of 7% of gross pay on pretax. The county provides matching funds according to actuarial projections. Full-time employees are compensated for longevity after one year of service. Killeen Texas typically has a high volume of job openings. A survey of employment opportunities indicate excellent potential for a variety of career specialties. Here you can find positions such as Budget positions, jobs in finance and accounting, Comptroller, Crew Leader, Transportation Jobs, City Clerical Jobs, Drainage Service Worker, Streets Equipment Operator, Code Enforcement Officer, IT Jobs, CAD/GIS Technician, Custodial Jobs, Airport Service Worker, Solid Waste Worker, Staff Accountant, Police Clerk, Administrative Assistant, City Secretary, Probationary Police Officer, Purchasing Jobs, Risk Management, Street Service Worker, and Truck Driver. The City of Copperas Cove's boundaries extend into Bell County, just to the west of Killeen, TX, and neighboring a portion of the Fort Hood boundary. The city tends to have a fair number of opportunities posted. During this survey there had been positions available for Firefighter EMT B Intermediate Paramedic, Heavy Equipment Operator, Solid Waste Disposal Jobs, Animal Control Kennel Assistant, and Light Equipment Operator. 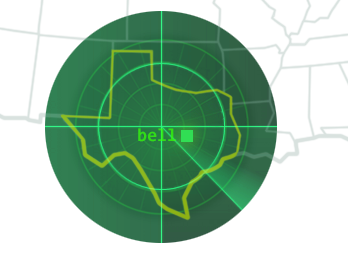 Belton is the county seat of Bell County, Texas. Periodically vacant positions are advertised. Temple enjoys the distinction of being the demographic center of Texas, with major cities of Dallas, Houston and San Antonio less than three hours away. Temple is also a great place to work and offers ongoing employment opportunities. A survey of career vacancies found had included Administrative Assistant, Solid Waste Jobs, Electrician, Police Evidence & Property Tech, Human Resources HR Technician, Maintenance Worker, Utility Technician, Water Safety and Lifeguard Jobs, Reference Librarian, Police Officer, and more. Visit Fort Hood's employment information page to learn more about how to apply for civilian personnel positions and for directions to the ACS Employment Readiness Program location. Harker Heights is a thriving community on the north side of Stillhouse Hollow Lake. A survey of employment opportunities was conducted with favorable results. Available positions had included Call Taker / Receptionist, System Support Technician, Parks and Recreation Light Equipment Operator, Part Time Recreation Aide, and Police Officer Trainee. Seton Medical Center Harker Heights is a full-service, 83-bed acute care facility that offers emergency care, women's services, orthopedics, cardiology, imaging and diagnostics. Here you can find careers such as Cardiovascular Technologist, Cardiovascular Ultrasound Tech (Echo Tech), Health Information Management HIM Jobs, ED Technician PRN, Fellowship Staff RN ED, Fellowship Staff RN ICU, Histologic Tech, Mammography Tech, MRI Tech, PBX Operator, Radiology Technologist, Respiratory Therapist CRT/RRT, RN Case Manager, Staff RN Cath Lab, Staff RN Labor and Delivery, Staff RN ED $4,000.00 Sign-On Bonus, Unit Care Technician, and Vascular Ultrasound Technologist. Baylor Scott & White Health is the largest not-for-profit health care system in Texas with more than 38,000 employees. During this survey there had been a large volume of vacant positions being offered for a variety of professional healthcare positions and support staff careers. A sample of vacant positions included Physician Assistant, Family Medicine Physician, Hospitalist Physician, Pediatrics General, Registered Nurse RN Clinic Nurse, Pulmonologist Killeen, Nurse Practitioner, Certified Technician Cardiology, Certified Medical Assistant Urgent Care, RN Procedural Nurse Dialysis, Clinical Lab Technician, LVN Pediatrics Killeen, Cardiologist, Otolaryngology, Neurology Stroke Specialist, and Neurointensivist. Metroplex Hospital provides 148 acute-care beds in Killeen, TX. Metroplex Health System is the primary healthcare provider for Bell County and other regions. A survey of available positions found had included Nurse Manager, Housekeeper, Surgical Services Supply Tech, Pharmacist, LVN, Registered Nurse Rn Nursery, Telemetry Tech, Home Health Nurse Assistant, Dietary Technician, Social Worker MSW PRN Behavioral Health, Acute Care Registered Nurse Intern, PRN Nurse Jobs, Certified Medical Assistant, Behavioral Health Registered Nurse, LPN PRN Home Health, Registered Nurse ICU RN, Registered Nurse Emergency Room RN, Housekeeper PRN Job, Medical Transcriber Health Information Management, Physical Therapist PRN, Outpatient Physical Therapist PRN, Medical Laboratory Technician, and Speech Pathologist. Cedar Crest Behavioral Health is a Residential Treatment Center in Belton that offers high-quality behavioral healthcare and support services. On an average day, the staff at Darnall handle 3,867 outpatient visits, 26 surgeries, 31 admissions, 170 Emergency Room visits and fill 5,000 prescriptions. Jobs can be found via USAJOBS. Central Texas Veterans Health Care System provides challenging and rewarding careers for healthcare professionals with great benefits and advancement opportunities. The VA is a technologically advanced healthcare system driven by a team of compassionate professionals with the aim of providing veterans and their families the best possible care. Nurses and Mental Health Professionals will find there are job opportunities available throughout the country. Belton Independent School District currently serves over 10,300 students on 14 campuses. Belton ISD is one of the largest employers in Bell County with over 1,500 employees. Here you'll find employment listings such as School Custodian Jobs, Special Education Aide, School Crossing Guard, Special Education Paraprofessional, Lifeguard, AVID Tutor, Pre-K Education Aide, Cafeteria Monitor, Art Teacher, Speech Therapist, Preschool Teacher, Licensed Vocational Nurse LVN, School Nurse RN, Bus Driver, and more. Follow the link below to learn more about applying for jobs with Belton ISD. KISD serves the central Texas communities of Killeen, Fort Hood, Harker Heights, and Nolanville. Killeen Independent School District employs approximately 6,200 teachers and support staff. Through the district's employment portal you can find classified positions, elementary school teacher jobs, high school teacher jobs, middle school teacher jobs, paraprofessional jobs, special education pooled positions, administrative support staff jobs and more. Temple Independent School District - Temple ISD. Temple ISD serves 8,600 students in grades Pre-K through 12. © 2015 jobspector.org - All rights reserved.